Trace Software International – the expert in the development of software solutions (CAD & CAE) for the industrial engineering since 1987- is thrilled to announce that the company is collaborating with The National Agency for the Promotion of SMEs of Morocco. The National Agency for the Promotion of SMEs of Morocco offers an intensive program called “Industrial Acceleration Plan” dedicated to the creation of a competitive entrepreneurial ecosystem by 2020. This challenging initiative aims to create a strategic framework for the development of small and medium-sized enterprises with a high growth potential, within which specific objectives are set such as strengthening competitiveness, increasing operational performance, stimulating creativity, sharpening expertise and attract investments. Companies that access this Industrial Acceleration Plan can therefore enjoy a myriad of benefits: training by experts in the high-level sector, identification of areas of strength and weakness of their company, launch of new projects, technical assistance, development of the digital sector, executive coaching and mentoring among the most important. Trace Software International is proud to participate as a registered supplier to the network of high level industrial experts. At this juncture, the company role is to guide the economic growth of small businesses and industrial SMEs through professional know-how and through the implementation of software solutions that improve the quality and the efficiency of the engineering process. elec calc™ : the software package that enables the calculation of low voltage and high voltage electrical installations in real-time. elecworks™: the electrical CAD software for the design of automation projects and electrical installations. archelios™ Calc: the complete software solution for calculation, sizing and control of photovoltaic installations connected to the public grid. archelios™ Pro: the software for the photovoltaic design and yield prediction whatever its size. 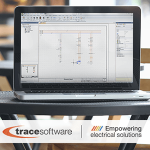 elec calc™ EP : the software for the electrical design of a public lighting system. Lights and Technology – the company range of expertise goes from the design to the production and maintenance of electrical systems and infrastructures in railway installations, airport equipment and facilities and electrical civil engineering. Apart from elec calc™ and elecworks™, the company has also adopted elec calc™ EP. PPrime –the engineering company specialized in the design of the electrical installation and renewable energy is now using elecworks™, elec calc™ and archelios™. MECF – it was funded to provide efficient solutions to respond to the growing needs of engineering, project, safety and environment management within the Oil, Chemical, Mining, Energy and Manufacturing Industries. The solution the company opted for is elec calc™. Thanks to The National Agency for the Promotion of SMEs of Morocco, companies can access to a financial fund (from 50% up to 70% of the total amount of investment) which makes the software tools acquisition process easier. With more than 30 years of experience in unique expertise in the design of electrical installations, it is possible to affirm that electrical engineering is in the company DNA. 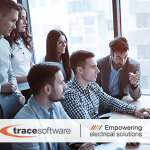 Trace Software International not only provides its software solution but accompanies the companies throughout the business journey providing training and support with the aim of implementing entirely a new tech-based operational approach and promoting their long-term economic growth. Why is Product Lifecycle Management so important? Are you using the right electrical CAD software?